“You Already Know” Tutorial with the one and only Zahava! It’s been a while since we made this last tutorial with Zahava! We got lots of positive response about the format… how teaching each other on video was super helpful! Recently she came up with another gorgeous wrap, and was surprised by the response on the fangroup. “It’s so easy!” she said, “You already know how to do this!” Yet the requests kept coming in, so we made a tutorial for you! Baby Shalomy also wanted to be in it! Enjoy! Aren’t the things that “you already know” just incredible? ← Giving the Triple C a Whirl! I like the wrap, but ?I love having tails, so I assume that instead of tucking in the longer end, I could let it hang? Good seeing Zahava again. 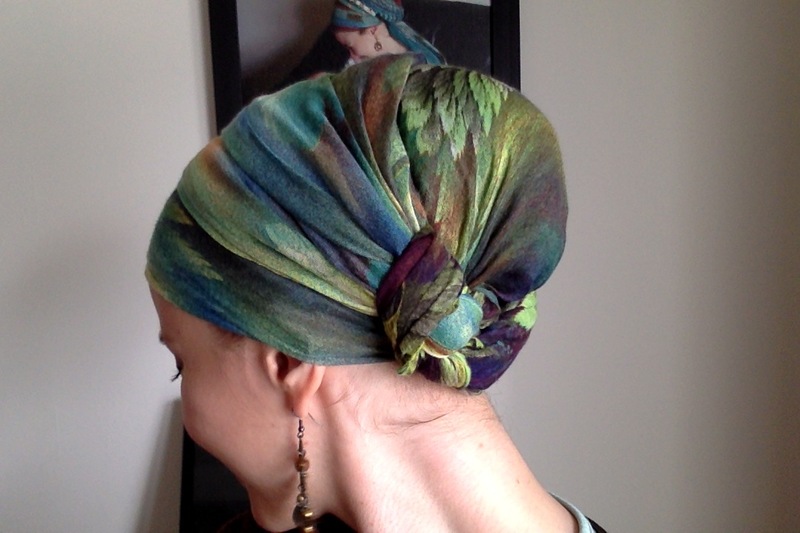 And, love how the “comb over” gives the tichel a layered look.